Eric Carle books are a "very" important part of the preschooler's library. Now you can arrange and rearrange 9 blocks to form the eponymous characters from five different Eric Carle "Very" books: The Very Quiet Cricket, The Very Hungry Caterpillar, The Very Lonely Firefly, The Very Clumsy Click Beetle, and The Very Busy Spider plus a friendly sun. With this The Very Books Block Puzzle from Mudpuppy, you will have a "very happily entertained" child! 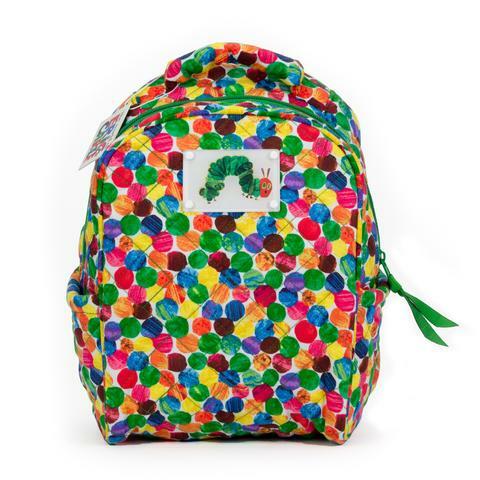 Show your love of The Very Hungry Caterpillar in style! 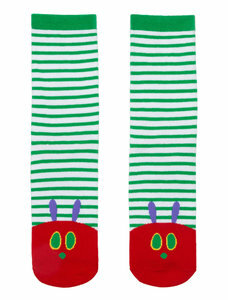 Cotton blend, unisex adult socks featuring Eric Carle's The Very Hungry Caterpillar. Available in Small (size 5.5-8.5) and Large (size 8.5-13). Purchase of this pair of socks sends one book to a community in need. Pair them with the book for the perfect gift! The Land of the Rising Sun is shining brightly across the American cultural landscape. Recent films such as Lost in Translation and Memoirs of a Geisha seem to have made everyone an expert on Japan, even if they've never been there. But the only way for a Westerner to get to know the real Japan is to become a part of it. Kate T. Williamson did just that, spending a year experiencing, studying, and reﬂecting on her adopted home. She brings her keen observations to us in A Year in Japan, a dramatically different look at a delightfully different way of life. Avoiding the usual cliches--Japan's polite society, its unusual fashion trends, its crowded subways--Williamson focuses on some lesser-known aspects of the country and culture. In stunning watercolors and piquant texts, she explains the terms used to order various amounts of tofu, the electric rugs found in many Japanese homes, and how to distinguish a maiko from a geisha. She observes sumo wrestlers in traditional garb as they use ATMs, the wonders of "Santaful World" at a Kyoto department store, and the temple carpenters who spend each Sunday dancing to rockabilly. A Year in Japan is a colorful journey to the beauty, poetry, and quirkiness of modern Japana book not just to look at but to experience. A new release in our popular Author-Illustrator Starter Kit series! One giant, premium-quality hardcover unlined blank book — 32 pages, 13" square — ready to be turned into a picture book. Just add crayons, markers, and ideas. The blank book is shrinkwrapped with a removable title card that offers a handful of inventive prompts to inspire young writers and artists. A Galison Avian Friends activity journal is a great gift for creative friends. The journal measures 7 x 8-3/4" with a lay-flat opening that makes it inviting to use. Best of all, the book is fully designed throughout with charming birds, flowers, and still lifes by internationally acclaimed illustrator Geninne D. Zlatkis. A bonus interview sheds light on the artist's creative process and inspiration. A great, easy-to-manage, black paper sketchbook for all of your wonderful black paper creations. 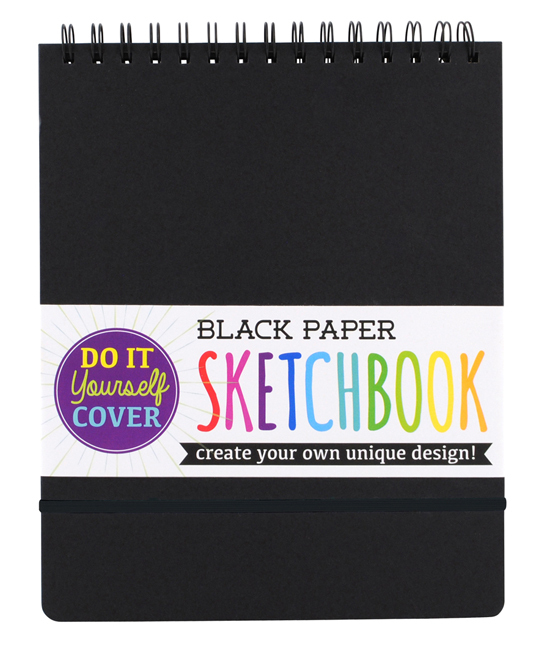 This Black DIY Cover Sketchbook is the perfect companion for many of our colorful products which look great on black paper (Sparkle Watercolor Gel Crayons, Natural Beeswax Crayons, Metallic Appeel Crayons, Metallic Colored Pencils, and Super Mix Oil Pastels). You can make your sketchbook your own by putting your art right on the cover. The 75 sheets of perforated paper are 8” x 10.5”, acid free and heavy weighing 110g. It comes with a built in elastic strap to protect your stuff too. This enamel pin is perfect for Harry Potter fans. Pin measures approximately 1". This adorable enamel pin is perfect for the book and cat lover in your life. Pin measures approximately 1". "Bookstores. Cats. Life is Sweet." Coated ceramic 12 oz. mug. Dishwasher and microwave safe. Purchase of this mug sends one book to a community in need. Available for the first time, this junior library brings together miniature paper-over-board editions of all four bear books: Brown Bear, Brown Bear, What Do You See?, Polar Bear, Polar Bear, What Do You Hear?, Panda Bear, Panda Bear, What Do You See?, Baby Bear, Baby Bear, What Do You See? Kids and collectors will love this tiny treatment of the classic series, with complete unabridged editions of each story. 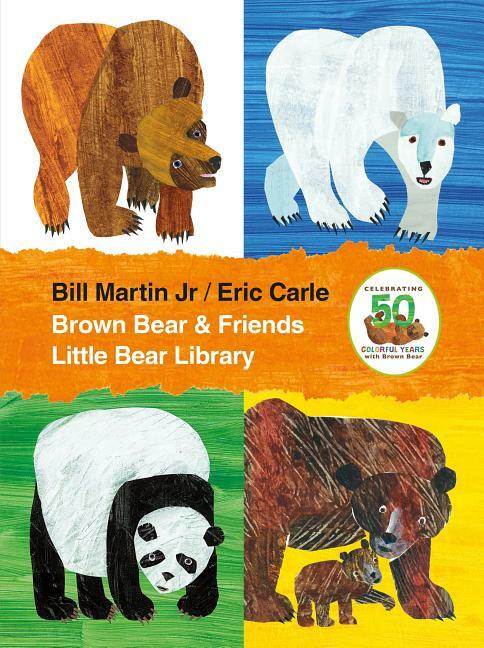 Young readers will discover the colors of the classic Brown Bear, the sounds of Polar Bear, the endangered species of Panda Bear, and the North American animals of Baby Bear, from renowned author-illustrator duo Bill Martin Jr. and Eric Carle. 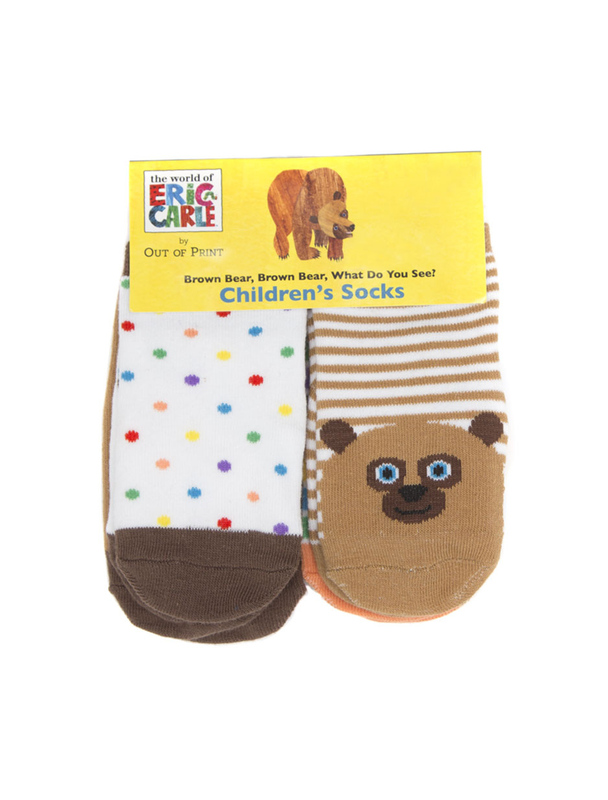 Show your love of Eric Carle's Brown Bear in style! This set of 4 adorable cotton blend, unisex youth socks features four different Brown Bear designs. Available in sizes 0-12 months, 12-24 months and 2T-3T. Purchase of this pair of socks sends one book to a community in need. Decorate your desk! Perfectly sized to store pencils, rulers and other small trinkets. Makes a perfect teacher gift! 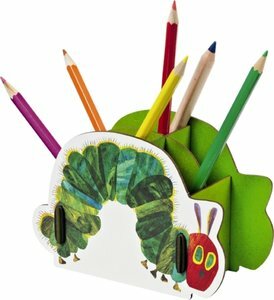 Organizer is made of sturdy chipboard and features Eric Carle's The Very Hungry Caterpillar on both sides. Measures approximately 6" long x 2.5" wide x 4" tall. Features four interior compartments of various size. Organizer ships flat and requires easy straight-forward assembly. Instructions included. 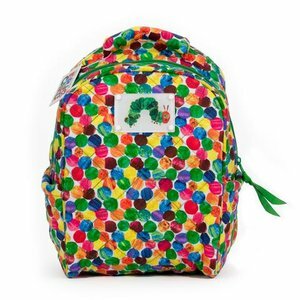 This adorable child-size quilted backpack is just perfect for little ones just starting school or daycare. Features zipper closure, two side pouches, and padded straps. Measures 9.5" wide by 11" tall. This adorable mini quilted tote bag featuring the Very Hungry Caterpillar is the perfect size for little hands! Measures 8.5" tall by 8" wide. Pair it with the adult tote for parent/child matching bags! Show your love of Eric Carle's The Very Hungry Caterpillar in style! 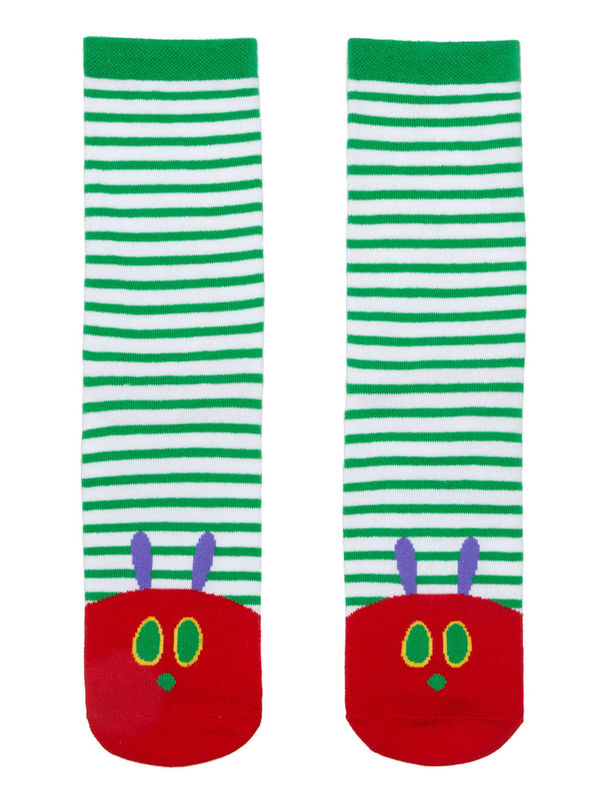 This set of 4 adorable cotton blend, unisex youth socks features four different Very Hungry Caterpillar designs. Available in sizes 0-12 months, 12-24 months and 2T-3T. Purchase of this pair of socks sends one book to a community in need. This book of 30 postcards is a collection of animal artwork from artist Charley Harper. 5 x 7 in size and perfect for framing! This book of 30 postcards from Pomegranate is a collection of artwork focused on birds from artist Charley Harper. 5 x 7 in size and perfect for framing! From beavers and bobcats to tigers and toucans - animal-loving youngsters can find their favorites and sharpen their memory skills by matching 36 images by artist Charley Harper. Kids of all ages can enjoy playing the game and learning from the accompanying booklet about familiar and exotic creatures. Set includes 72 colorful 2.5" square cards (36 pairs). 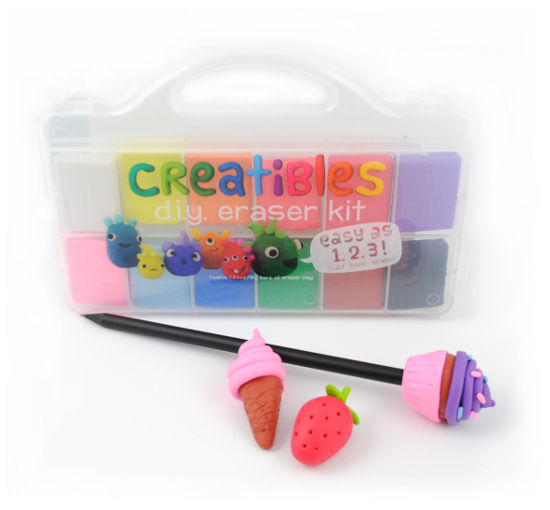 The easy make and bake eraser kit where you can shape your very own eraser. You build it, bake it and erase with it. Make all sorts of amazing eraser creations with this Do It Yourself kit. Creatibles comes with 12 pliable clay colors that can be mixed for an endless amount of hues. Create any kind of cool shapes, characters or whatever you want your eraser to be. Follow the baking instructions and you'll have an amazing eraser all your own. And it comes in a nifty reusable case. It's fun to make and fun to erase. Thirty oversized postcards measuring 6 ½ x 4 ¾ in. • Hinged tin: 8.75 x 6.25 x 1 in. Children love to see their favorite book characters come to life, and they'll have that opportunity with The Very Hungry Caterpillar & Friends Magnetic Character Set from Mudpuppy. 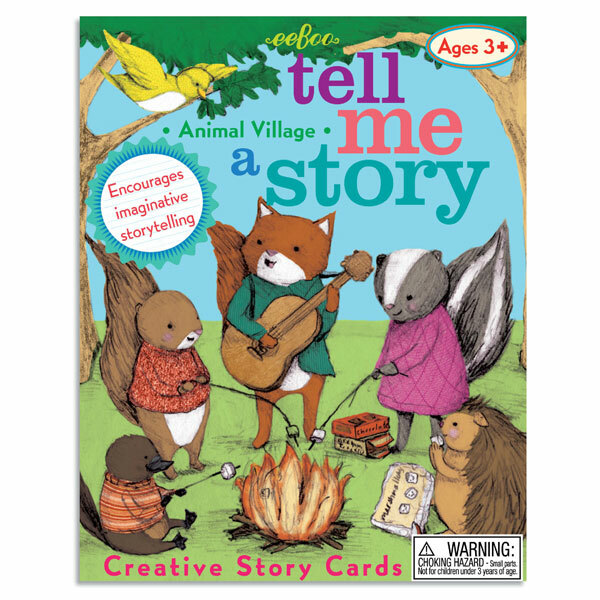 Children's book illustrator Eric Carle has created beloved characters in his books, and many of those characters are available for free play with these magnets and four illustrated background scenes. These toys are aimed at children ages 3 and older. The hinged tin measures 8.75 by 6.25-inches with 1-inch depth, making it easily portable. USA Exclusive! This Eric Carle print is imported exlusively to The Eric Carle Museum of Picture Book Art from the United Kingdom. This 14" x 11" print will look great in any home, classroom or school! Features image of Eric Carle's The Very Hungry Caterpillar. Ships flat in protective plastic sleeve.